Murderers come in all shapes and sizes. Caroline Mickelson was born in 1888 in Balmain, Sydney, Australia and on 22 April 1908 she married labourer Richard William Grills, by whom she had five sons and a daughter. By the 1940s she was the proverbial little old lady, short and dumpy with thick-rimmed glasses. But in 1947 Caroline Grills began to kill people. That year, her 87-year-old stepmother fell ill — the two women had never been close — and died. Shortly after, another octogenarian, Angelina Thomas, also became sick and died. Mary Anne Mickelson was the next, followed by John Lundberg, the brother-in-law of Mrs Grills’s husband. He fell ill, his hair fell out and then in October 1948 he died. Caroline Grills cared for all the victims, taking great delight in sitting with them as they drank cups of tea she had prepared. Then John Lundberg’s widow, Eveline, and daughter, Christine Downey, became very sick and their hair began to fall out. They began to recover when they stopped visiting the woman they called “Aunt Carrie”. In 1953 Sydney was in the grip of thallium panic. Forty-six cases of poisoning involving the extremely toxic metal, normally used in rat poison and insecticides, had come to light. The son-in-law of one of the intended victims became suspicious and, after visiting Grills, kept some of the tea she had prepared. He took it to the police who tested it and found it was laced with a potentially fatal dose of thallium. Police charged Grills with four murders and one attempted murder. On 15 October 1953 she was found guilty of attempted murder and sentenced to death. The jury had taken 12 minutes to find her guilty of murder. 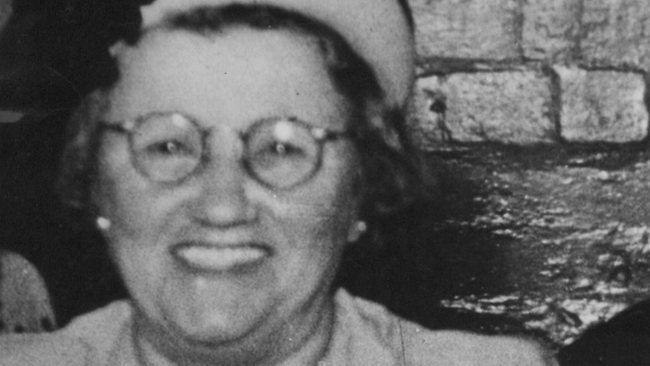 Senior Crown Prosecutor Mick Rooney, QC, said that she was “a killer who poisoned for sport, for fun, for the kicks she got out of it, for the hell of it, for the thrill that she, and she alone, in the world knew the cause of the victims’ suffering.” Although the Court of Criminal Appeal dismissed her appeal in April 1954, her sentence was commuted to life imprisonment. She was admitted to the State Reformatory for Women where she was to stay for the next six and a half years. On 6 October 1960 she died of peritonitis at Prince Henry Hospital. In prison she was nicknamed Aunt Thally by the other inmates.